The Geissele SSA-E has a pull weight of about 3.5 lbs. There is 2.3 lbs. on the 1st stage and 1.2 lbs. on the 2nd stage. The pull weights and sear engagement are non adjustable by the shooter. The initial force needed to start the disengagement of the searnsurfaces is low and the force linearly increases at a low rate. This helps the shot to fall at the initial point of aim and aids in building shooter confidence in his weapons ability to put the rounds where his sight is pointing. 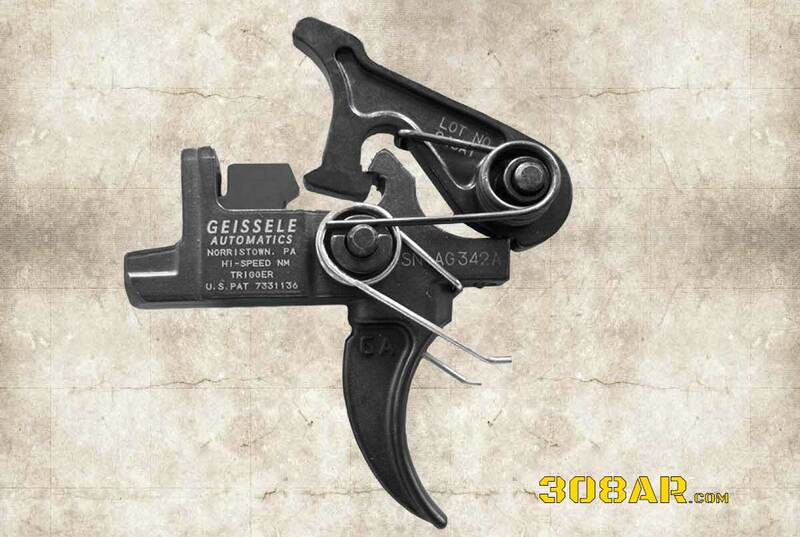 The Geissele SSA-E is a simple design that is very similar to the original M16 trigger. The number of parts is identical. 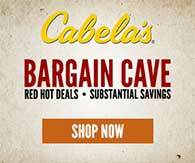 All springs are captive; they will not get lost during disassembly in the field. The entire trigger can be disassembled for cleaning (no rivets or staked parts). The trigger can be installed without removing the safety. 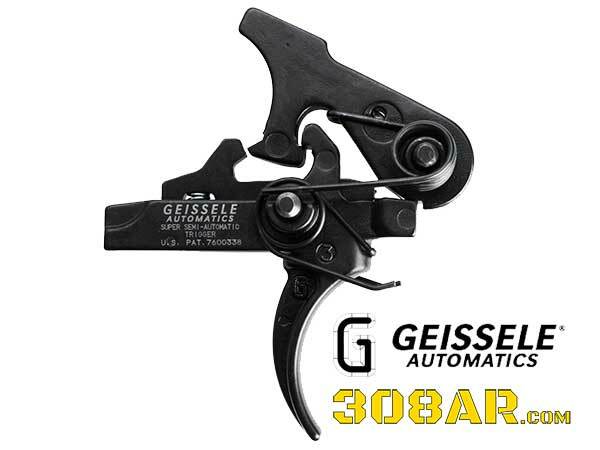 The Geissele SSA-E is a 2 stage trigger where there is generous overlap of the sear surfaces which contributes to safety and a low tendency of any inadvertent movement of the trigger to discharge the weapon. 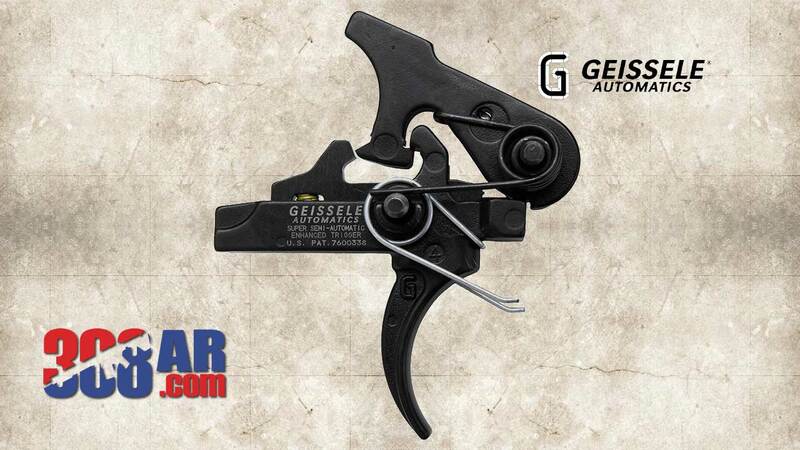 The Geissele SSA-E has a patented pseudo sear that is almost identical to the standard AR15 single stage sear. However, this secondary sear has surfaces that never touch during normal operation. This sear prevents the hammer from falling unless the trigger is pulled. *The Geissele SSA-E does not fit HK416 weapons with firing pin safety. 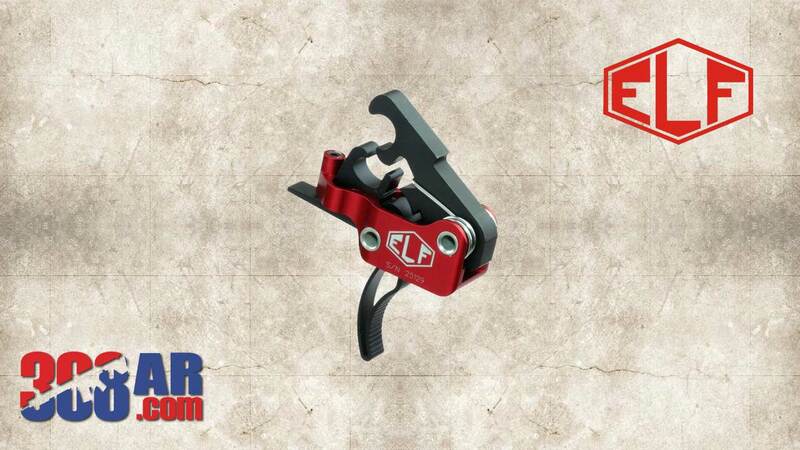 The Elftmann ELF Drop-In AR-10 Trigger has been built to withstand the punishment of high powered calibers. The only AR-10 trigger using aerospace grade sealed bearings, making for an incredibly smooth and fast trigger pull. Our exclusive .043 double double wound polished piano wire hammer spring ensures full ignition of any ammo including .308 and 7.62x39. Pull weight from 2 3/4lbs to 4lbs is so easy to adjust it can be done in seconds without removing the trigger from your lower receiver. 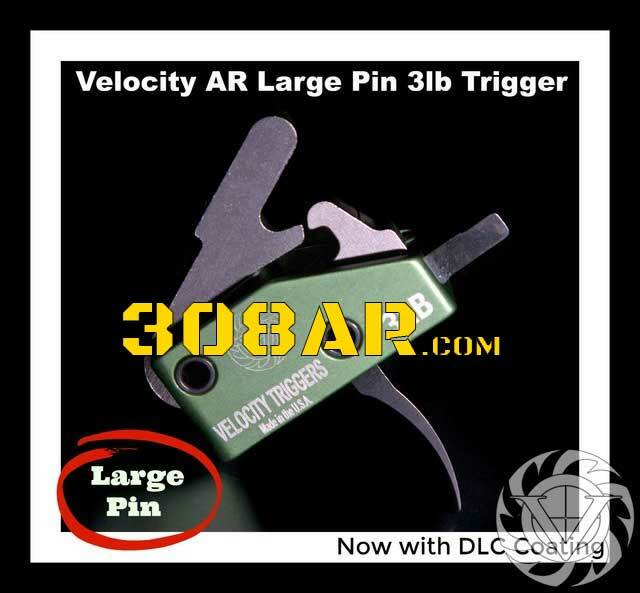 The AR-10 trigger is essentially the service trigger with a lighter pull weight range. 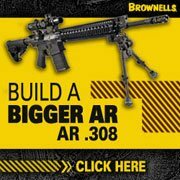 Read about more AR-10 Triggers here…. The Elftmann Tactical AR-10 / .308 Straight Trigger is specially designed to stand up to the heavy recoil produced by short-action cartridges in the AR-style .308 platform, ensuring that owners have a trigger system they can depend on, round after round. The Elftmann Tactical AR-10 / .308 Straight Trigger is machined and assembled with a combination of A2 tool steel and aircraft-grade aluminum. The trigger assembly also features needle bearings on hammer and trigger pivot points for smooth operation, and the hammer spring is double-wound from .043-inch piano wire in order to provide a more rapid lock time. The Elftmann AR-10 / .308 Straight Trigger provides owners with a short trigger takeup and reset, providing enhanced accuracy and improved follow-up shots. When it comes to designing a trigger unit for AR-10 rifles, special attention has to be placed on producing a rugged, durable, recoil-proof system that still provides a high-quality pull. The Elftmann Tactical AR-10 / .308 Curved Trigger accomplishes those two goals and still manages to be packed with high-end features. The Elftmann Tactical AR-10 / .308 Curved Trigger is machined using a combination of tool steel and aluminum and contains a piano-wire hammer spring that’s double-wound in order to enhance lock time. 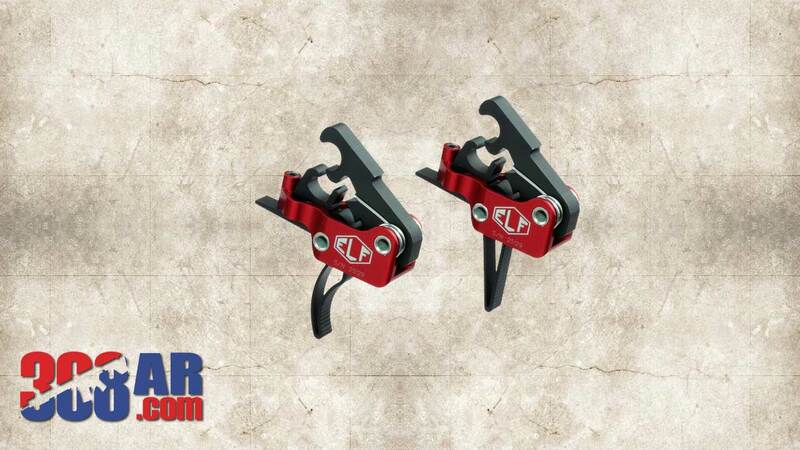 The trigger and hammer both use needle bearings to provide a smoother, faster mechanism. The Elftmann Tactical AR-10 Curved Trigger is completely drop-safe and provides AR-style .308 owners with a crisp, clean pull paired with a short takeup and reset. Based on a Hiperfire trigger the Echo Trigger has a unique feature that allows an AR to fire when the trigger is pulled and also when released. This translate into much more expensive trips to the gun range. My two initial observations are the trigger is quite expensive and also looks to be pretty complex. 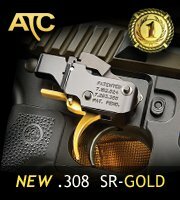 At this time I cannot confirm how this trigger functions in a 308 AR or AR-10. If anyone has any experience with the echo trigger drop us a line. 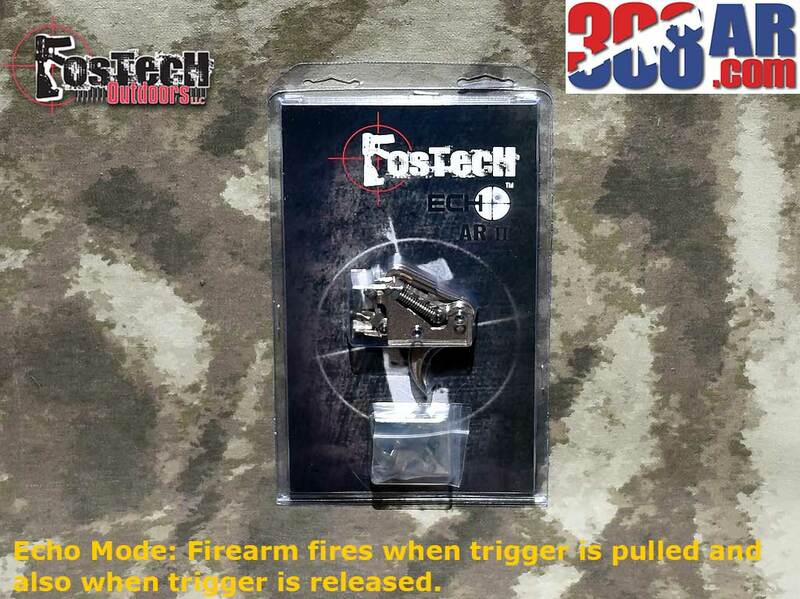 The Fostech Echo AR-II Trigger is in stock and available from Brownells. The Echo AR-II Trigger allows the shooter to select from 3 different settings. 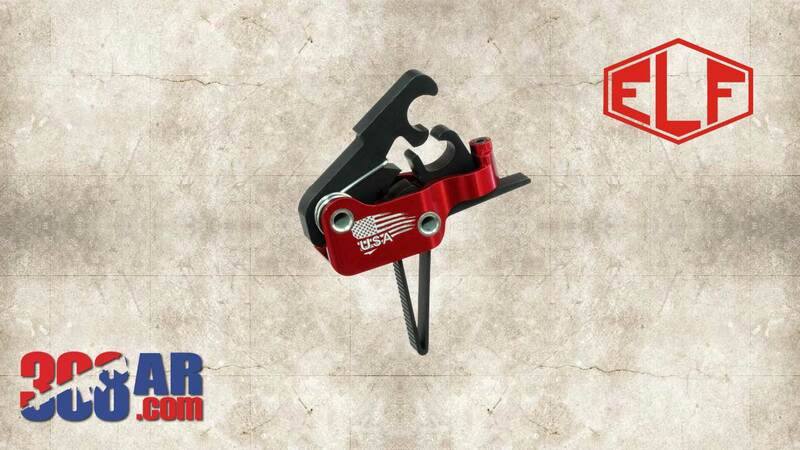 The Echo AR-II Trigger is designed with safety being the utmost priority. When the shooter is in the Echo Mode and depresses the trigger one round is fired, if the target moves, the shooter can move the selector to the safe position and a second round will not fire upon release. Reliable function in Echo Mode .